On Near-Earth Object (NEO) Program at NASA’s Jet Propulsion Laboratory. As quoted in Jeffrey Kluger, 'The Man Who Guards the Planet', Time (9 Jun 2014), 37. It’s our job to make sure the solar system is well-behaved. 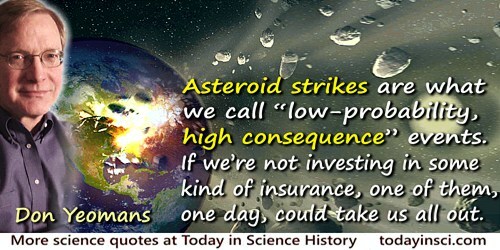 Asteroid strikes are what we call “low-probability, high consequence” events. If we’re not investing in some kind of insurance, one of them, one day, could take us all out. On Near-Earth Object (NEO) Program at NASA’s Jet Propulsion Laboratory. As quoted in Jeffrey Kluger, 'The Man Who Guards the Planet', Time (9 Jun 2014), 36. [There are only three ways to increase our chances against an asteroid aimed at Earth:] Find it early; find it early; find it early. 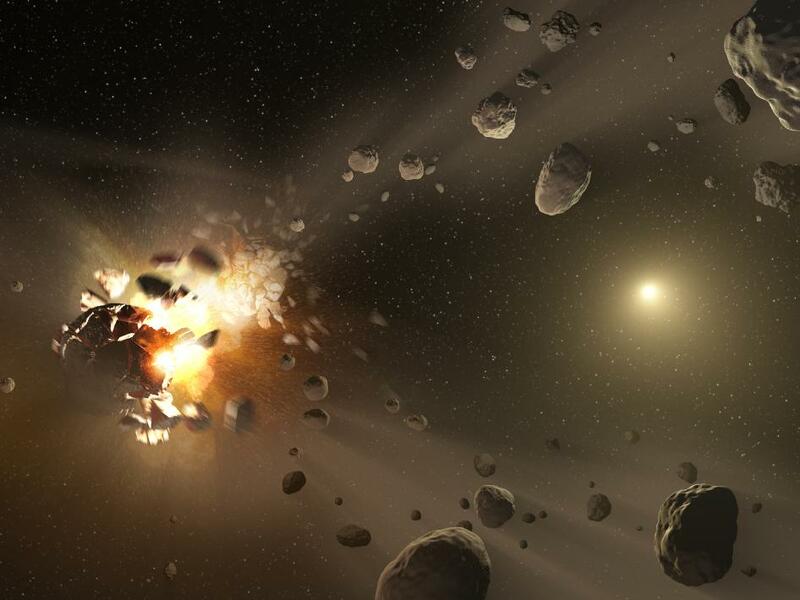 On Near-Earth Object (NEO) Program at NASA’s Jet Propulsion Laboratory. As quoted in Bridget Mintz Testa, 'Saving the Earth by Inches Per Second', Mechanical Engineering (1 Apr 2014), 136, No. 4, 20.